Spykar is known as a men's wear brand and soon it expects to accelerate its women's division to contribute to 30 percent of sales by 2020. Spykar, the fashion apparel brand has planned to add another feather to its cap by producing its own footwear range next year. It has planned to invest 90 crore INR in the footwear category by 2020. Sanjay Vakharia, Chief Operating Officer, Spykar Lifestyle, confirmed all this with PTI. He said, "We will be starting with men's wear. The categories we will cater to is flip flops, slippers, shoes. The pricing will start from Rs 599. We saw a growth of close to 30 per cent in 2015-16 and the consumer segment is quite exciting and is expected to do better in times to come." The company is known as a men's wear brand and soon it expects to accelerate its women's division to contribute to 30 percent of sales by 2020. 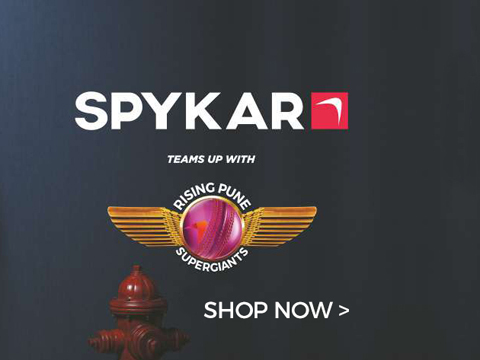 Spykar has 210 franchise stores and it plans to increase to 400 by 2020. Vakharia said, "Currently, 6 per cent of our revenues come from online channel. Going ahead, we see 20 per cent of revenues from online. We will invest Rs 50 crore in the next 3 years on brand building."